Why reinvent the wheel if you don't have to? If there’s a word I’d like to mainstream, It would certainly be templatize. It’s already used in the computing world, but I think it has a broader application when it comes to business processes too. It’s a wonderful synthesis of our digital world’s move toward customization and automation, and it simply makes sense for those of us who spend our days Googling and WhatsApping. The business template allows us to create our own processes once and then repeat them over and over again, tweaking and refining along the way. Templatizing is an essential part of any company’s business process management, or BPM. What is BPM? It’s simply the optimizing of your business practices, looking for ways where you can cut costs, increase revenue, increase efficiency and productivity, and just make things easier and clearer for your team. Better BPM is a constant struggle and reward situation for businesses of all shapes and sizes, whether you’re just at a couple desks in your local coworking center or in a multinational distributed team. It’s the part that doesn’t focus on what you’re doing so much as how you do it all. Logically, BPM and workflow templates go hand-in-hand. What are the benefits of business templates? A business template is a BPM tool that acts like a workflow diagram that lets you map out a repeatable process. If something unfortunate happened to the most essential member of your team (or if they simply left your team), would your business fall apart? Business templates clarify workflow processes and make it easier to run a “hit-by-a-truck” operation that allows for people to move between teams and roles without disruption. They also let you run an international business from anywhere and allow remote teams to collaborate on clearly defined tasks. We’re all working toward constant cycles of innovation and improvement, but why reinvent the wheel? It takes up time and energy that we could be putting into new mission-critical initiatives. Once you know what’s working for you, allow business templates to drive repeatable best practices, and then look to experiment in other parts of your work. Business templates are simple and elegant BPM and productivity tools. Once you create them, you can reuse-recycle and dive in to get started right away on any new project. An added benefit: starting faster also minimizes procrastination and increases your chances of completing the task at hand. Let’s face it, nobody’s perfect. You need to work as a team to create tried-and-true workflows. By having repeatable steps to follow, you make sure that everyone follows the same crucial steps, limiting mistakes made and creating a transparent workflow that teammates around the world can view and follow. Using a template as part of your business process management workflow means that you and your team are focused on clarity, conciseness, and consistency. It means you have your you-know-what together. Not only does it help onboard new team members, it helps give current members assurance that they heading in the right direction. And this form of workflow automation also helps shine light on the all-important question of who did what, when. Where can you use templates in your day-to-day BPM? There are a lot of places where templatizing is a no-brainer. 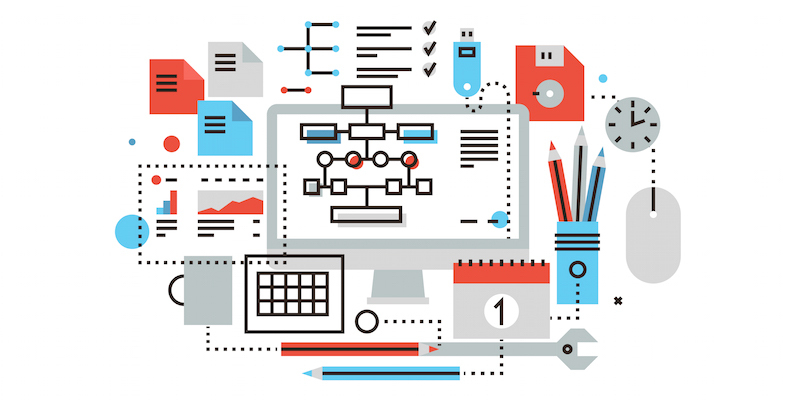 First and foremost, creating a repeatable workflow helps increase customer satisfaction. Try using it for tech support and customer success to follow a common flow of how to help resolve customer issues, or to help close a deal. For me, being part of the small 100-percent remote team that runs the online remote network Happy Melly, the first use case we saw for templates in our highly experimental org was for onboarding. When you go from from three to 15 teammates and from about 60 to 400 clients in just a year, you have to change the way you do business — or you’re sure to miss important steps in welcoming any new member of your extended work family. And while templates and defined BPM may seem corporate, they also help startups and up-and-comers too. In fact, at Redbooth, they first got the idea for creating the workflow templates going through their own Series B funding round, creating a series of legal templates to get them through that arduous yet essential investor paperwork. But then they couldn’t stop. Now, with just a click of a button, you can open up a new Redbooth workspace that has all the steps laid out for you in common workflow management. Open up a workflow template in your existing Redbooth account, or start a free trial and test-drive as many templates as you want. There are dozens of workflow templates already, and Redbooth is always interested in ideas for creating more! Email workflow@redbooth.com to find out more about getting custom workflow templates created for your business processes.